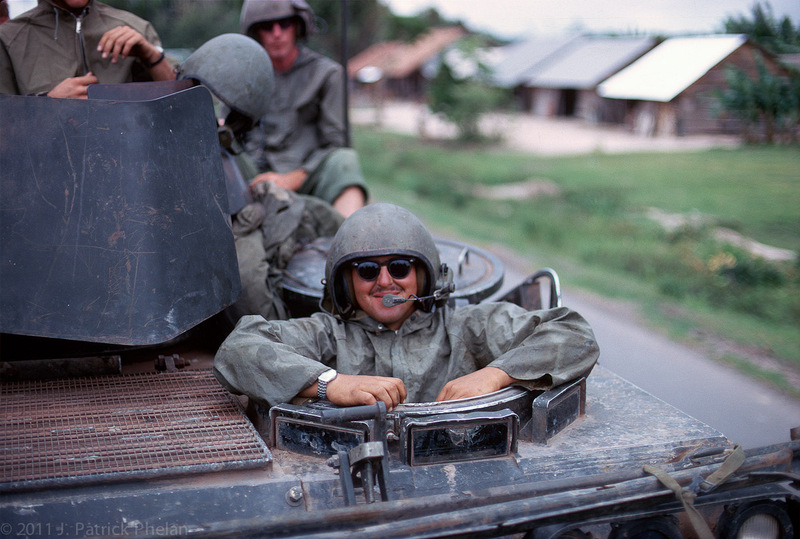 M113 APC driver Ronald Belford with his rain gear on smiles for the camera. Ron was from Genesee, Michigan, and passed away April 9, 1997. See you at Fiddler's Green Ron!